Oil of Love is Kama Sutra's original all-time bestseller! 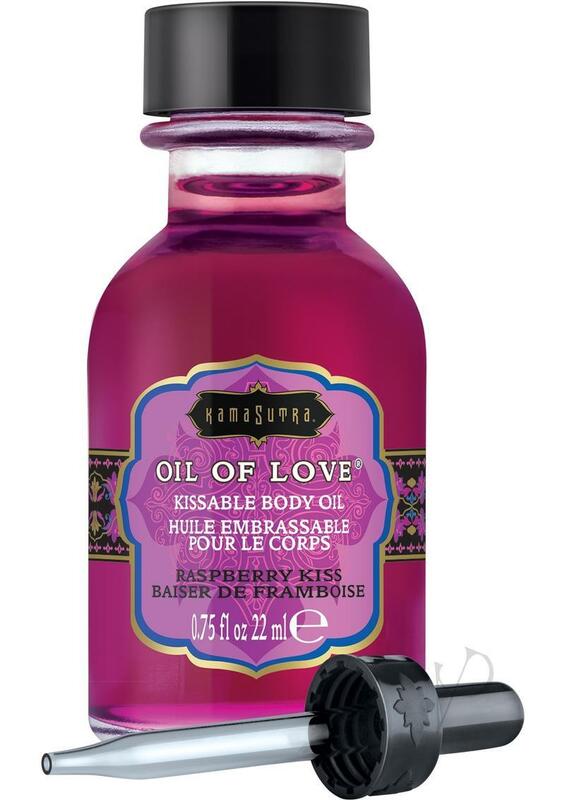 The delicious, silky Oil of Love imparts a delicate scent and irresistible warmth. Designed specifically for foreplay fun, it's neither a massage oil or a lubricant. Unique water-based formula that's deliciously kissable and warms and tingles on the skin! Try melt-in-your-mouth Oil of Love in Raspberry Kiss to add warmth and flavor to every kiss. 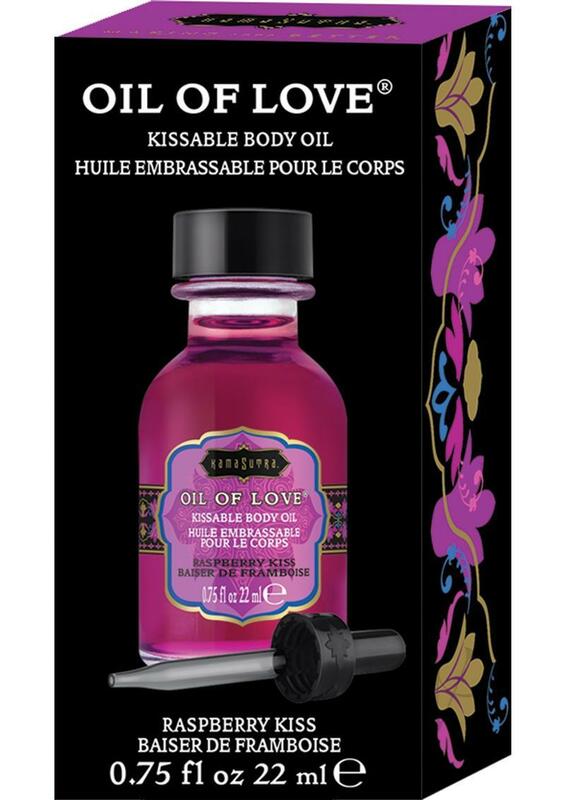 Gently caress Oil of Love onto an erogenous area, blow softly for a warming sensation and follow with loving kisses. This travel size bottle fits discreetly into a toiletry case or purse. Included dropper allows for easy, mess-free application. An instructional pamphlet is included to provide easy-to-follow directions.